Students at the University of Delaware ELI are required to have certain immunizations and medical tests before coming to Delaware. Please see the information below for details. All new students are required to submit the Immunization Form and the Health History Form at least 2-4 weeks before coming to Delaware. Watch your email for further instructions. Remember, your Immunization Form must be completed in English and signed by a medical professional. Please follow the instructions that have been provided to you in your e-mails from our ELI Admissions Team. All ELI students from a country that has been identified as “high-risk” must be tested for Tuberculosis using the Quantiferon test before coming to Delaware. Send the Immunization Form to the University of Delaware at least 2 weeks before the program begins. If you did not get tested before coming to Delaware, you will be required to take the Quantiferon test at the University of Delaware Student Health Services clinic on the first day of your program. This test will cost US $40. For more information, contact ud-eli@udel.edu. Do you need to be tested for Tuberculosis? Only students from specific “high-risk” countries need to be tested for Tuberculosis (TB). All ELI students (new and continuing) are required to be vaccinated with 2 doses of Measles, Mumps, and Rubella (MMR) vaccine before coming to Delaware. The date of the vaccine must be written on the student’s Immunization Form (PDF). Students who do not obtain the MMR vaccine before coming to Delaware will be required to get it at UD’s Student Health Services when they arrive. Students cannot begin their classes without getting both doses of the MMR vaccine. The price to get an MMR vaccine at UD is U.S. $74 per dose. We highly recommend that students obtain the MMR vaccine in their home country, as it is likely to be cheaper and they will avoid beginning their classes late (and violating ELI’s absence policy). Students who obtain the MMR vaccine in their home country must bring their proof of immunization to Delaware on their first day of Orientation so that they can avoid being vaccinated again (and to avoid paying the fee). Consider getting the MMR vaccine in your home country. It will probably be cheaper than in the USA (or even free!). The Meningococcal vaccine is not required by Delaware State Law. 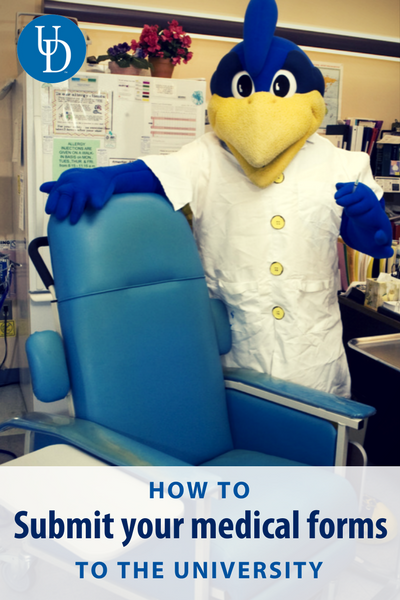 The University of Delaware Student Health Services (on-campus clinic) is required to inform students about the vaccine. Students must choose be vaccinated or to decline the vaccine (you can indicate your choice on the Immunization Form). All students are required to have health insurance. Medical costs in the USA are very expensive. Health insurance helps to pay for medical expenses so that students can avoid having high medical bills.